Cloth Diapering in the heat of summer, Are they too hot for baby? As a Florida girl I am all too familiar with those blazing hot summers. 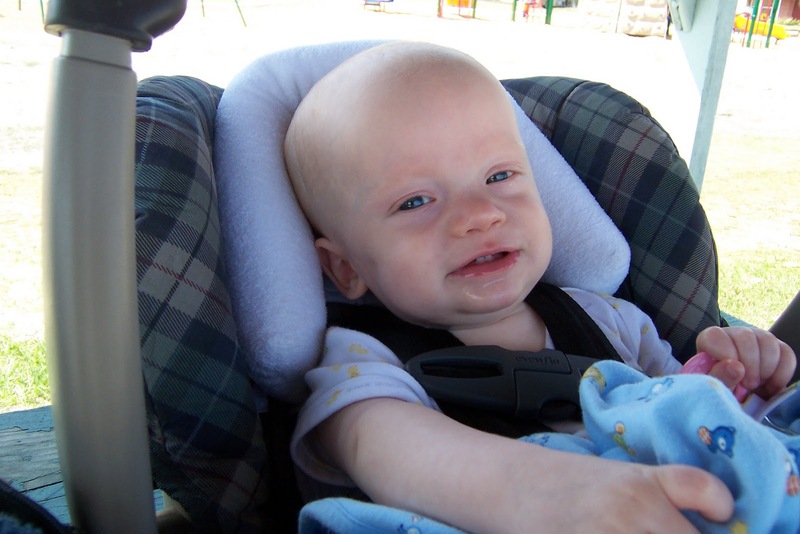 Babies are soaked with sweat when you take them out of their carseats, even in an air conditioned car, and it's really hard not to think that cloth diapers in warm weather just aren't a good idea. Have you wondered the same thing? Well as an experienced cloth diaper user I just wanted to share my experience with cloth diapering in the heat of summer. Disposable Diapers, while they might seem light weight and airy at first, really aren't. Keep in mind that once peed in, disposable diapers essentially turn into a giant gel pack. Sodium polyacrylate, the super absorbent chemical that is the primary material in disposables is designed to hold 200-300 times its weight in water. Once in gel form these diapers can retain heat, conform to the shape of your child's body and pose serious health risk, especially for males. Their super absorbency also results in them being left on much much longer than cloth diapers. Cloth Diapers, although often covered with a non breathable outer, fit more generously and require changing more frequently keeping baby cooler. Yes, they too can make baby hot, but I think most would choose a moist cotton or synthetic fiber next to their little ones sensitive areas over a hot chemical gel filled disposable. Diaper rash is common any time you live in a warm climate. I loved that with cloth diapers and a cute t-shirt my babies were ready to go out and enjoy their day, no real substantial clothing required. They were changed frequently and I also used a little Burts Bees Powder at each diaper change so they'd start out nice and dry. If the day turned out we were out and about all day and in the hot car, etc. then we'd go diaper free for a bit when we got home to let them air out and cool off. Another great solution for those who really live in warm climates is to invest in something like Cold Seat, to help keep baby cool and comfortable. What do you think? Have you cloth diapered with success in warm weather? Definitely! I actually started CDing in the summer. I never noticed heat rash on DS, and he never seemed uncomfortable in his dipe. Thank you for this! When I originally started cloth diaper with my now 3 year old it was nearing summer. My mom was so concerned about him being to hot that I switched back to disposable while with her to save the discussion. I don't know why the concern since she never revisited the convo when my baby was wearing cloth last summer... but it's always nice to have someone back you up. Also with cloth diapers, you can leave them coverless at home, allowing for more airflow, which means a cooler, happier baby and no heat rash! We use mostly fitteds and for most of the summer I let my son run around in one without a cover. It is one step less for me, everything gets more air circulation and I know as soon as he needs a change. Wool covers are also wonderful in the summer since they breath and let evaporation take place. I agree! Also, I'm interested in being a blog contributor. I am a cloth-diapering freelance writer and you can see my work at www.crystaldkupper.com. Thanks!